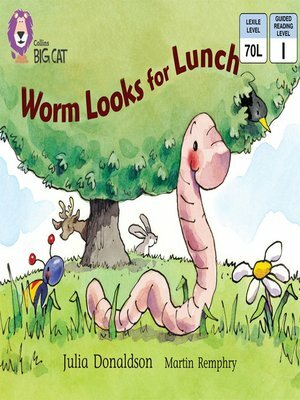 Worm is fed up with earth for lunch and wants something more exciting. He tries eating grass, bark and even a leaf on the advice of various animal friends â? ?Â and almost becomes lunch himself when a hungry bird appears! â?¢ Green/ Band 5 books offer early readers patterned language and varied characters. â?¢ Text type - Playscript. â?¢ Instructions for putting on the play are on pages 22 and 23 to encourage children to discuss the script. â?¢Curriculum links - Science: Plants and animals in the local environment. Julia Donaldson is a former Children's Laureate and the author of the internationally bestselling book The Gruffalo, as well as numerous other popular titles.